"We stand committed with a spirit of enterprise, will to succeed, zeal to grow and objective-achievement orientation through value based education for community at large by creating an environment of intellectual stimulus, scientific orientation and social responsibility”. To impart education that enables the students to acquire the desired skills and abilities necessary to answer the challenges of the modern world and the process of globalization, due to technological advancements. To inculcate the spirit of enquiry, self expression and independent judgment amongst the students and staff. To enhance the ability to utilize the full potential of Intellectual Capital and learning resources through quality research, consultancy scholarship and creative performance. To cherish the Indian value system with focus on the Indian culture, traditions and heritage, imbibing the best of the West at the same time. To understand and appreciate human differences in culture, gender and race, and Finally to cultivate aesthetic sensibility and moral values in society at large, leading to the strengthening of the spirit of application of knowledge towards the National growth. The governing body with clarity in its plan for the future; influences the overall functioning of the institute and serves as a guiding force providing a confident and steady direction towards realizing the institutes vision, mission and goals. 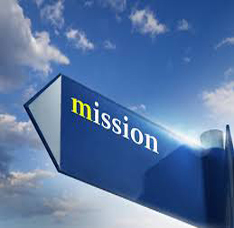 The mission inspires and guides the management and staff to efficiently carry out the institutional processes.